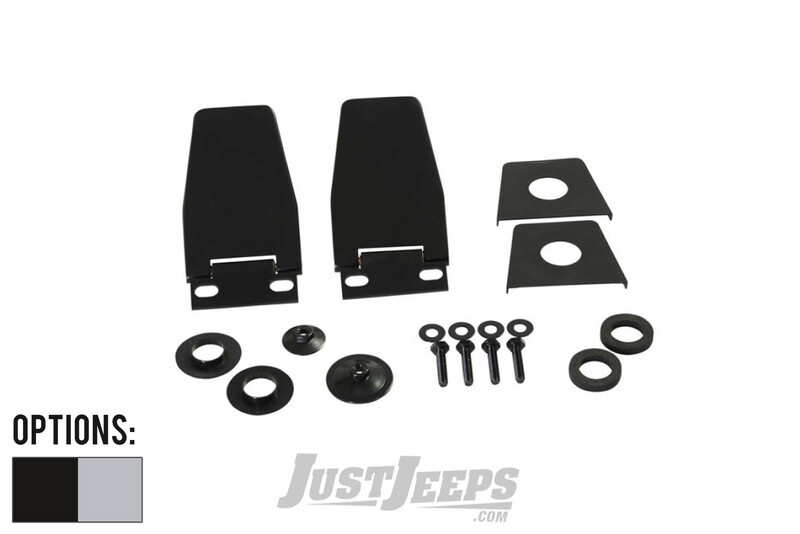 Just Jeeps Kentrol Hardtop Stainless Steel Liftgate Hinges For 1987-06 Jeep Wrangler YJ, TJ & TJ Unlimited Models | Jeep Parts Store in Toronto, Canada. These stainless steel liftgate hinges replace the standard painted items with the durability of stainless steel. Stainless steel hardware is included in each kit. Available in Black or Stainless colors. Note: Need to re-use old hinge nuts!